Around Kissamos there are many beautiful beaches, with a great number of visitors especially in the summer, both residents and tourists. 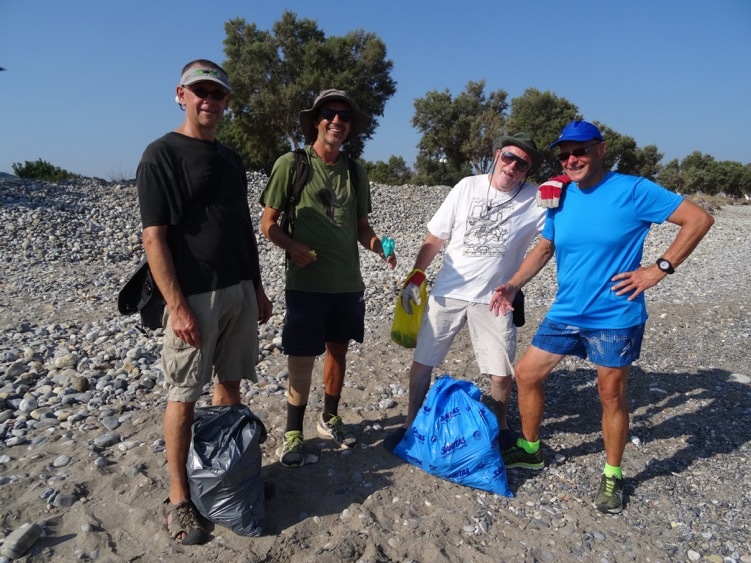 A group of local residents took up the initiative to go litter picking once or twice a week over the course of the summer. The amount of rubbish that ends up on the beaches is simply amazing, like some of the finds. You can see some examples in the pictures. 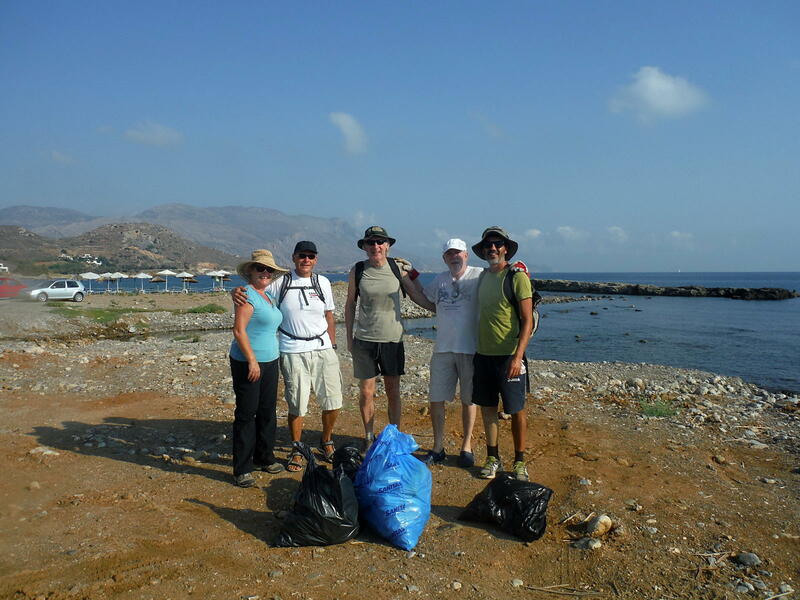 The Kissamos beach cleaning team is open to everyone who has some spare time and an interest in the community. We visit all the beaches in Kissamos bay, from Metochi and Viglia to Mavros Molos, Kissamos, Livadia, Korfalona, Mythimna, Nopigia, Ravdoucha and the other ones we don’t even know the name of! 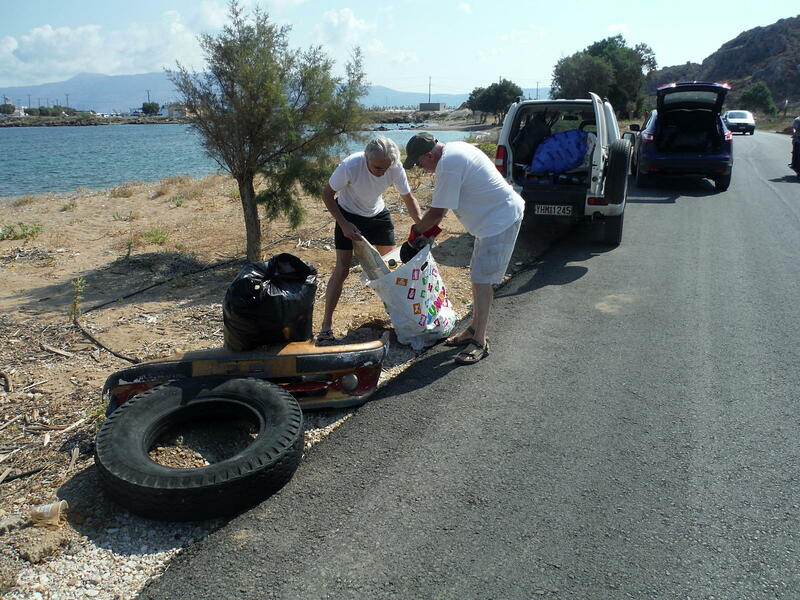 Beach cleaning near Viglia, notice the tyres and the car bumper! If you’d like to join, you’d be very welcome!